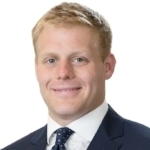 Bobby is an Associate at Societe Generale Corporate & Investment Banking, working within the Corporate Finance team to provide M&A and capital markets advisory to the firm’s client base. Prior to his Corporate Finance role, Bobby spent 3 years as an analyst in Societe Generale’s Media-Telecom industry group. Bobby views mathematics as the foremost academic discipline and believes a functional & conceptual understanding provides the foundation for self-fulfillment in all domains of life. He cares deeply about the pragmatic facilitation of universal access to education. He graduated from Rice University with degrees in Mathematical Economic Analysis, Policy Studies, and Managerial Studies. He was a 5-year member of the Rice Owls Football Team, playing Defensive Tackle.